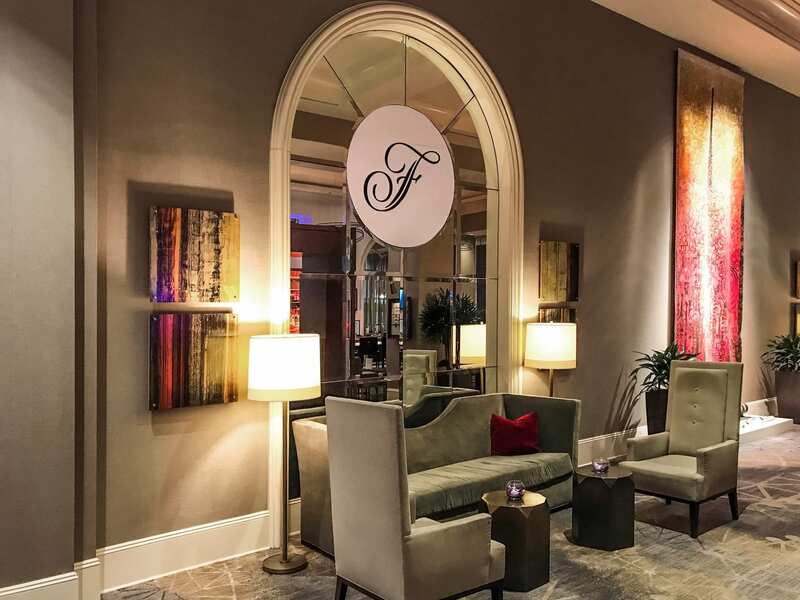 The Fairmont Hotel is definitely where you need to stay when planning your getaway to Dallas! My sister and I spent the whole weekend here and it was quite a treat! 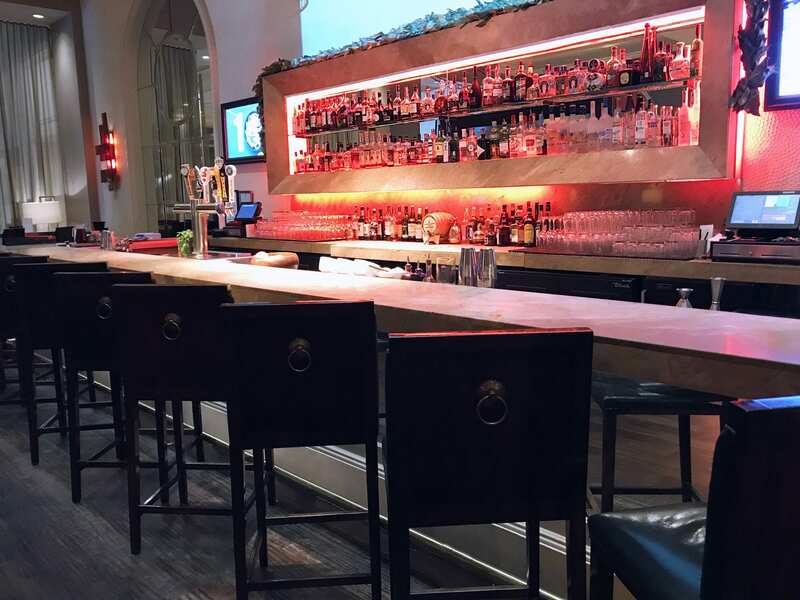 The Fairmont is a luxury hotel with classic style located right in the heart of downtown Dallas. This makes it quite an ideal option for travelers who want to explore Dallas without renting a car. 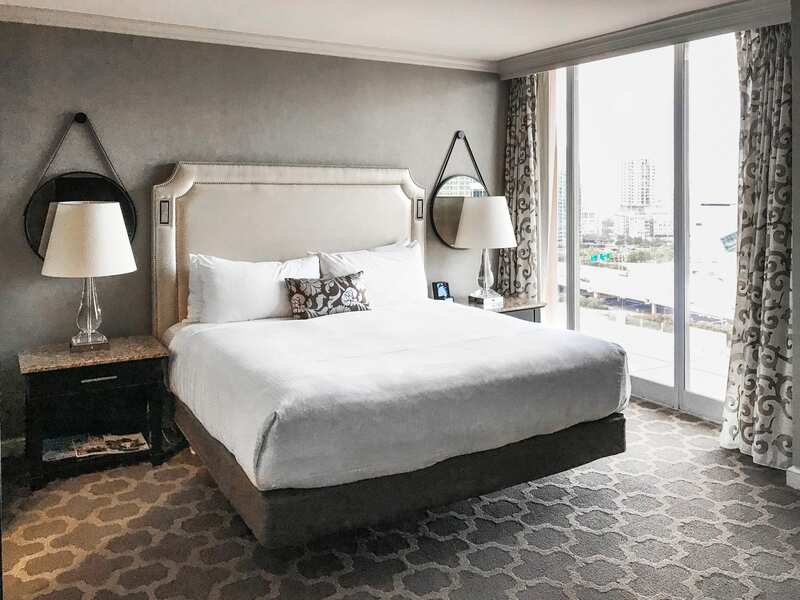 Since The Fairmont Dallas is right in the heart of all that the city has to offer, the location is extremely convenient to get around the city. If the weather is nice, you can easily walk to many nearby attractions and restaurants. Klyde Warren Park and the Dallas Museum of Art are both just a few steps away! The eclectic neighborhood of Deep Ellum is also just a couple miles away. If you’re going somewhere nearby and don’t want to enjoy the stroll, there’s a courtesy car conveniently waiting for you. You can find it parked right outside in the valet area. The driver will take you where you need to go as long as it’s within 2 miles. This is a great way to save your feet at night when you’re wearing heels like we were. The valet also has a mini-fridge stocked with complimentary bottled water. These are such a great idea when heading back to the room after a night out on the town! 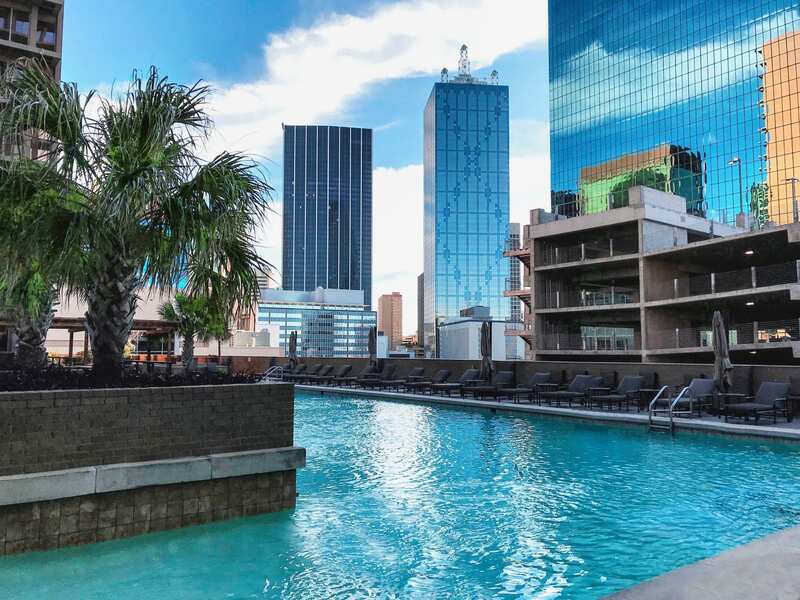 Though you’ll be ready to explore Dallas as soon as possible, the Fairmont offers a beautiful pool, a fitness center and fine dining all on site. Each room is equipped with a Keurig coffee machine with complimentary coffee pods to get you going first thing in the morning. Oh, and did I mention they have a Starbucks too?! You won’t need to pack a hair dryer or your iHome docking station for this trip. The Fairmont Dallas has both of these items in every room. Get ready while listening to your favorite music, just like you do at home. We were upgraded to the Panhandle Suite by the staff who were very attentive and polite. The 1 bedroom king suite has a panoramic city view and the bed is quite comfortable. 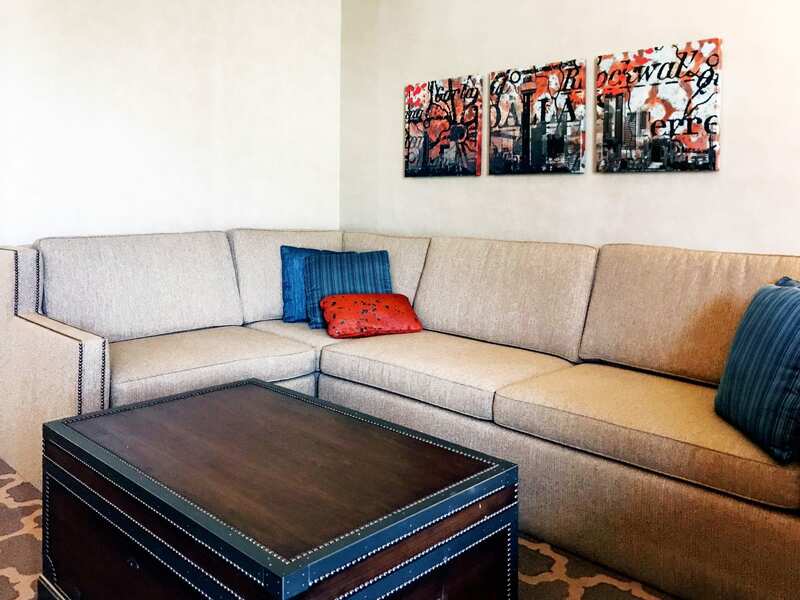 This 700 square foot room gives you plenty of space to unwind and relax on your Dallas getaway. Fun fact: When you stay with Fairmont you’ll get to enjoy complimentary access to over 5000 newspapers and magazines to read! Just connect to the WiFi and download the free PressReader app and you’re in business! 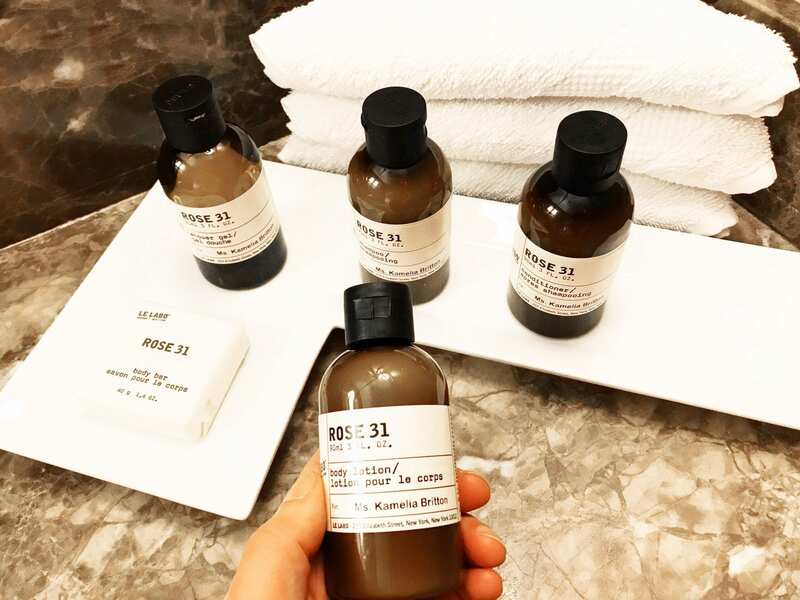 One of the first things I noticed when I walked into the bathroom, were these adorable little toiletries that featured my name on them! What a cute little surprise! 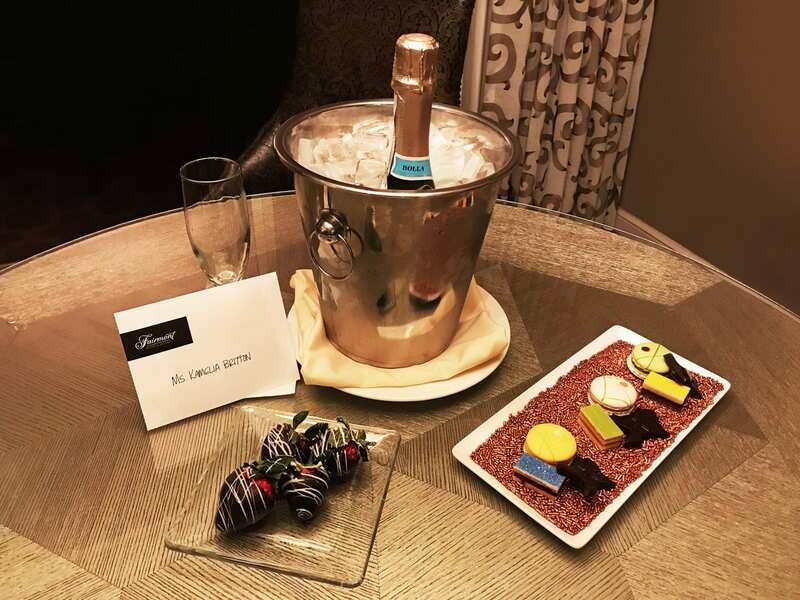 The Fairmont Dallas really knows how to make a girl feel special! Now That’s What I Call Local! When it’s time to eat The Pyramid Room offers up fine French cuisine with elegant décor. You can also order in-room dining if you’d like to take it easy. I bet you didn’t know that The Fairmont Dallas has a 3000 square foot rooftop garden where they grow their own herbs and vegetables to use in the restaurant! How’s that for locally sourced food?! 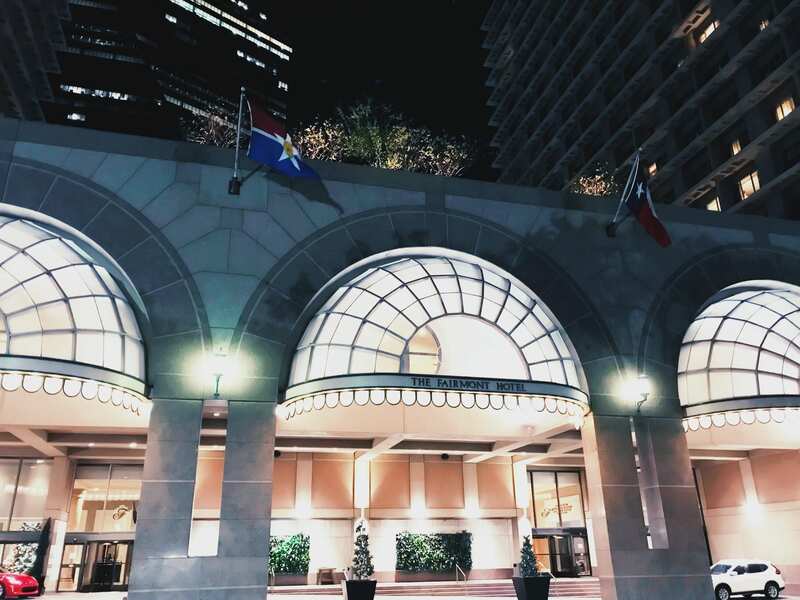 When it originally opened in 1969, The Fairmont Dallas became the luxury Dallas destination overnight! The hotel was a dramatic addition to the downtown Dallas Skyline and quickly became the city’s finest hotel. You can also enjoy views of the city while relaxing at the terrace pool! 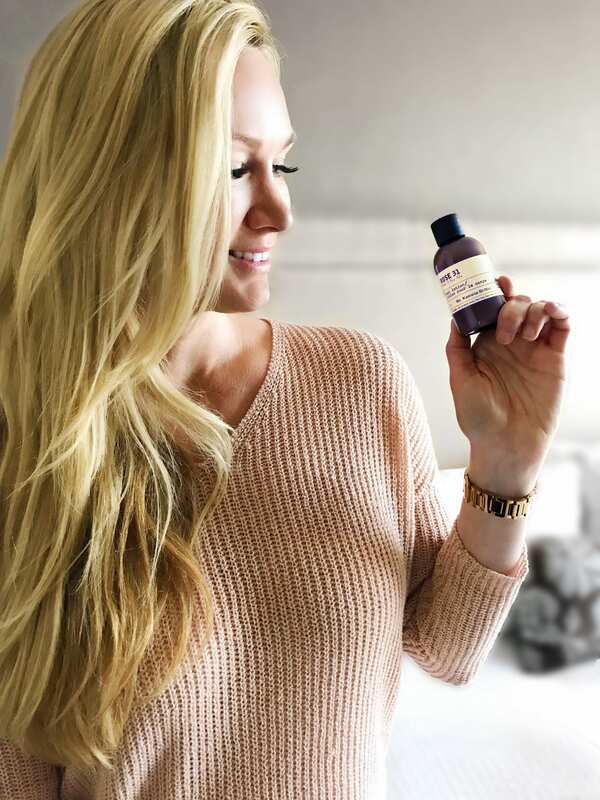 Staying at The Fairmont Dallas was a great experience and I highly recommend them for your Dallas travel plans. The location is perfect for exploring the city and the service will make you feel very welcome.